Aligning Divine Soul Purpose. Accessing Akashic records, Working with Lords of Karma for clearing old contracts, awakening and accessing Higher Mind/Superconscious. Accelerating Ascension. To be used in conjunction with the Pink Gypsum for God/Goddess Union. The Ascension Temples were said to be built from White Alabaster. To anchor your Divine Purpose and balance the Masculine energies with the feminine. 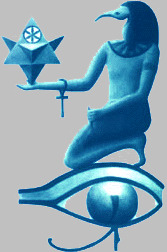 To work in Unison with Alabaster and to assist in Uniting Male Egypt with Feminine Australia for awakening God/Goddess. Activate the feminine energies. Reawaken Egypt’s purpose in awakening Earth/world and bring her into alignment with Australia for reunion/healing of Atlantean and Lemurian energies. Egypt holding Atlantean and Australia holding Lemurian….Atlantis and Lemuria two most powerful civilisations reawakening for the new era.